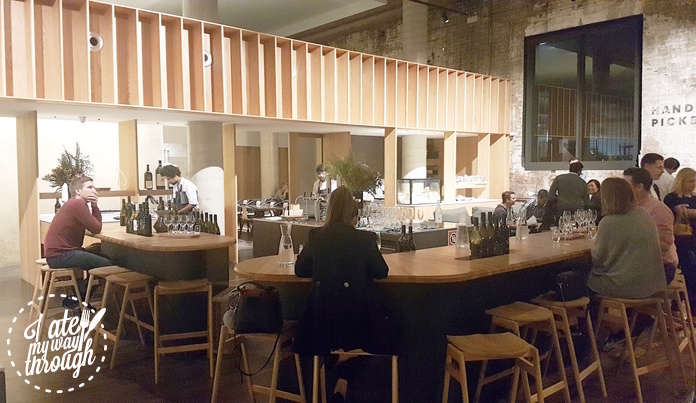 Despite home being based in Victoria’s Mornington Peninsula, Handpicked Wines opened its first cellar door on Kensington Street dining precinct in central Sydney in November 2016. The name refers to the wine company’s ambition to “handpick wine regions and grape varieties domestically and internationally to bring the world of wine under one label”. 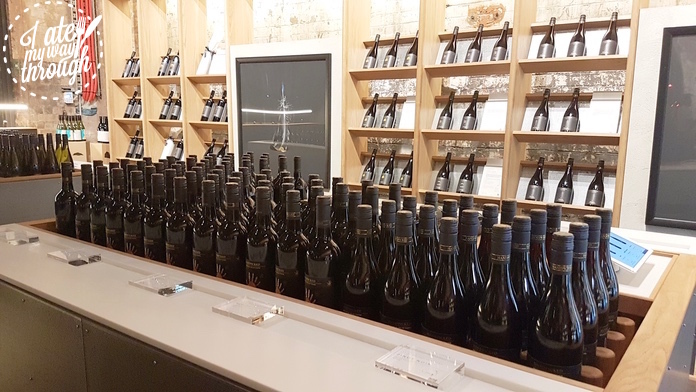 To achieve this bold vision, the company holds ownership of vineyards in Barossa Valley, Margaret River, Yarra Valley, Mornington Peninsula, as well as partnership and leases with vineyards in New Zealand, Italy, France and Chile. 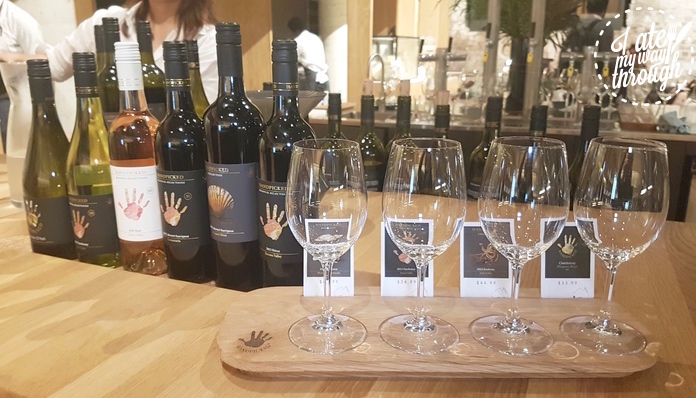 Handpicked wines are divided into three tiers – Regional (identified by the hand print label) – every day drinking wines showcasing the characteristics of each wine region; Collection (black label) – special occasion wines; and Single Vineyard (white label) – limited release wines. 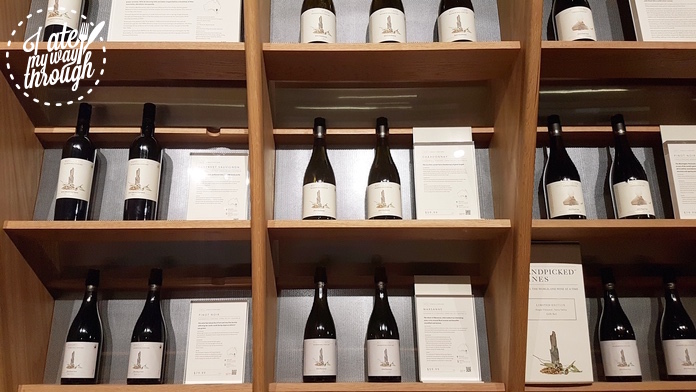 At the cellar door, customers are able to taste six different wines at $10, $15 or $20 depending on the mixture of tiers. Alternatively the tasting flight of four wines, each at 75ml (the equivalent of two glasses), will only set you back $20 with 12 combinations to choose from. Once you have picked a favourite, you can purchase by the glass starting at $10 and enjoy in the adjacent lounge. 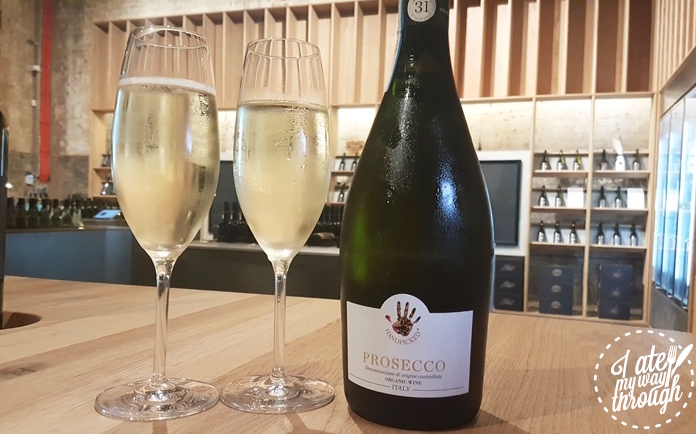 The cellar door also hosts interesting group events such as ‘Yoga and Wine’, ‘Wine Basics Workshop’ which introduces novices to the flavours and characteristics of wine, as well as a ‘Wine and Oysters’ night. They are all great options for social events like birthday parties or hens’ nights. The tasting experience itself is both enjoyable and educational. Can you detect the prominent blackcurrant notes as well as the bay leaf and dry tannins from the vintage 2013 Margaret River Cabernet Sauvignon? 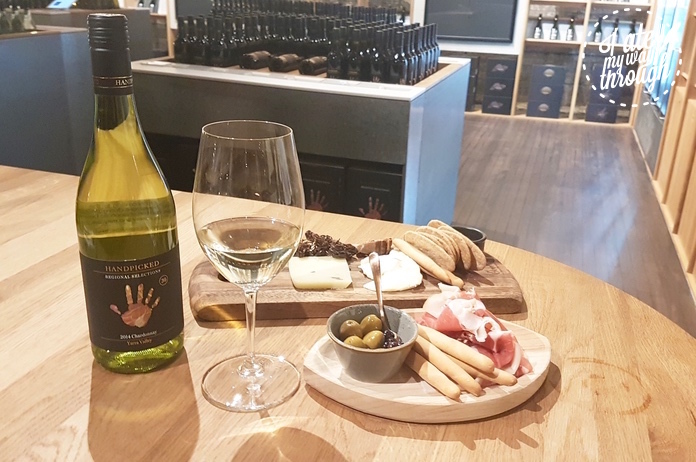 Can you recognise the tropical flavours such as green mango and papaya in the Mornington Peninsula Chardonnay? Or do you prefer the fruity red berry character with a hint of spices in the Collection Pinot Noir? To accompany the tasting a good selection of cheese and cured meats is on offered. Whether it’s soft, semi hard, hard or Italian, French and English Blue, the only problem you will have is which one to choose. 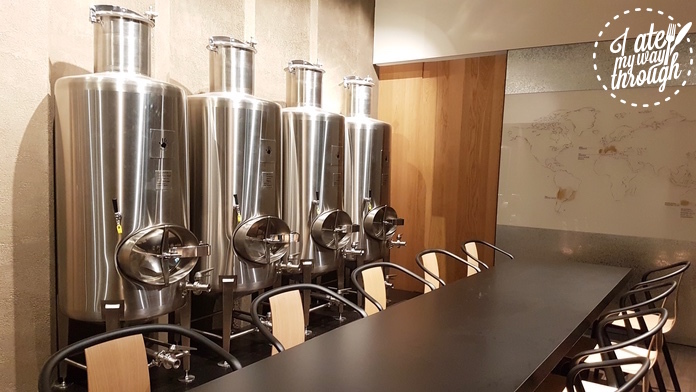 Handpicked Wines chose to open their first cellar door on Kensington Street to take advantage of its desirable location as the latest dining and lifestyle destination in central Sydney. It is your one stop shop to sample the best varieties of both old and new world without even leaving the country. You may not have the time to travel the world but Handpicked Wines bring the world to you.